Do they make good literature? I don't know; I haven't read any of them. But if these books get more people into the habit of reading, then I don't mind at all. 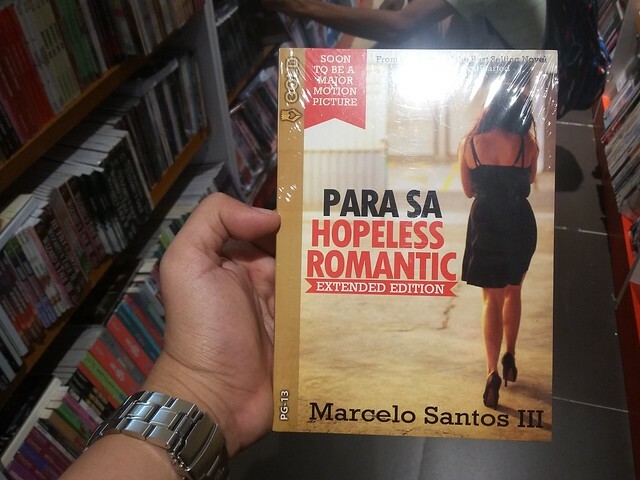 Love is an inexhaustible subject of songs, poetry, even novels; so here's a book about hopeless romantics by Marcelo Santos II—something, judging by the book cover, that will be adapted into film. 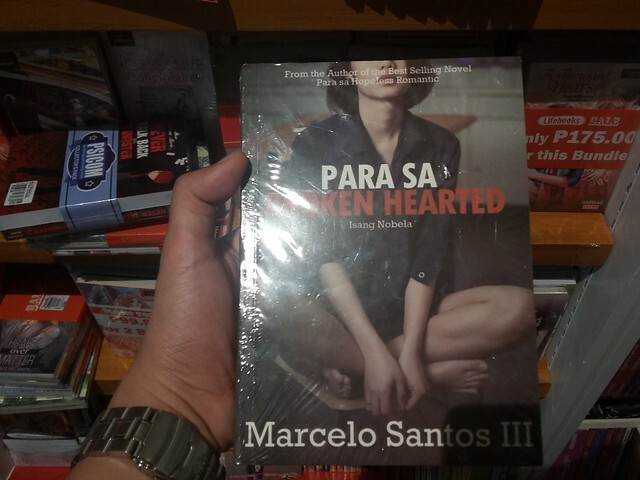 Another novel by Mr. Santos III, dedicated for the broken-hearted. 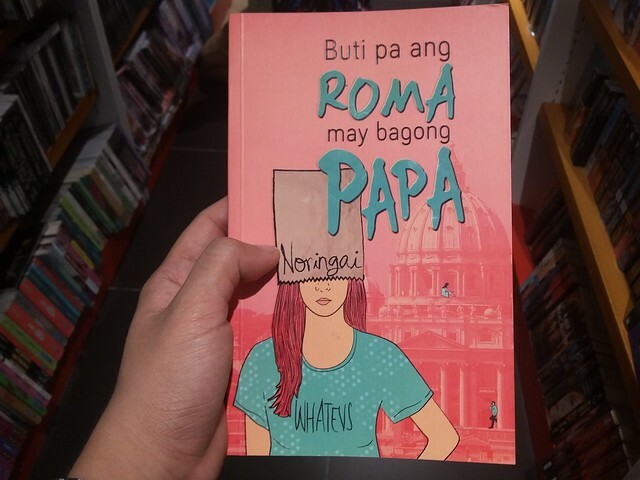 My favourite title is "Buti Pa ang Roma, May Papa," by Noringai, published by Anvil. The novel was originally posted in Wattpad. Does the book talk about Roman Catholicism? Is it a love story set in the Vatican? The reader ayilmagic reviews the book, "super astig nung book,, hahaha,, tawa ko ng tawa,, di nakakasawang basahin ng paulet ulet,, ahaha." I can't explain the use of double commas.